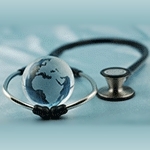 You are here: Home / Blog / Is your medical device affected by new EU regulations? Is your medical device affected by new EU regulations? Now that the European Medical Device Regulation (MDR) is widely available in draft form, manufacturers and other industry participants can more accurately predict key issues that will affect them—including how and whether the scope of the new regulations covers their devices. The post Is your medical device affected by new EU regulations? appeared first on MassDevice. https://www.captis.com/wp-content/uploads/2018/08/emergo-1x1-2.jpg 150 150 CAPTIS https://www.captis.com/wp-content/uploads/2016/11/logo_transp_top_final.png CAPTIS2018-08-31 03:00:142018-09-04 07:57:52Is your medical device affected by new EU regulations?